I made these last Christmas for my family and my favorite feedback was from my 5 year old cousin - "THESE TASTE JUST LIKE AWESOME CHICKEN NUGGETS ON A STICK!" Pretty high praise from a 5 year old boy. "Pheasant isn't as game-y as I thought it might be." "Just like the Kokonas Kids (and papa), I've never seen a grey shallot, so I just used regular ones." Look for shallots griselle. They might also be called Banana Shallots. These are definitely available in France and much of the rest of Europe. You might need to smuggle some sets into the US and grow your own but then you could probably make a fortune dealing them to foodie junkies as real gray shallots. BTW, oak is quite a tannic wood, so does that flavor transfer to this dish from the wood? Well, you've inspired us, and we're doing a thing. See the link! Thanks for creating hours and hours and hours and hours of drooling instead of work. Well done indeed! 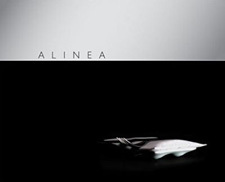 I have the Alinea cookbook (first cookbook I bought, silly man that I am; note that kale is NOT a good substitute for nasturtium in the first recipe... blech! ), and The French Laundry is on my list.